Seven upstream dams have already altered flows, reduced fish populations, and affected communities along portions of the Lower Mekong River, which flows through Thailand, Laos, Cambodia, and Vietnam. 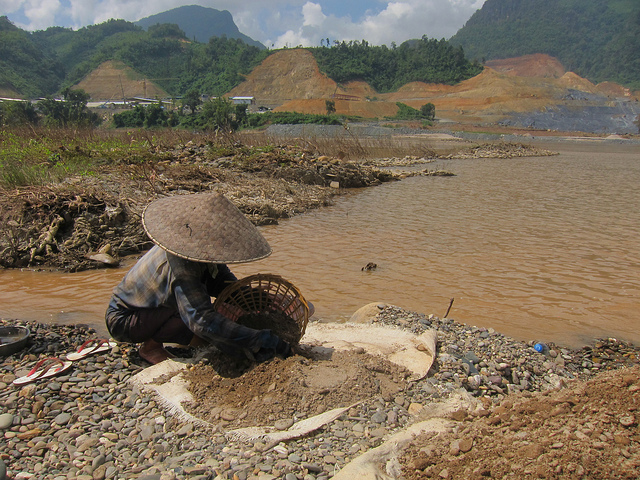 But the impacts may soon get much worse as a new era of hydroelectric dam-building begins in the Lower Mekong Basin. Eleven major hydroelectric dams — mostly within Laos — and dozens of dams on tributary streams that feed into the Mekong have been proposed or are under construction. River experts say that if a dam-building boom proceeds as planned, it could diminish essential flood pulses and decimate fisheries and riverside gardens that are dependent on variable flows and sediment. That, in turn, would affect the diets and livelihoods of 40 million people dependent on the Mekong, the “greatest inland fishery in the world,” according to Ian Baird, a geographer at the University of Wisconsin who lived and studied in Laos for 15 years.